Do you wonder whether you might be at risk for a heart attack? In order to help you identify your risk there are certain numbers you ought to know — since for many people the first symptom of a heart attack is sudden cardiac arrest. First of all your body mass index should range between 18 and 25. If you’re above 25 you are at higher risk. Studies suggest that people who have a certain amount of body fat around their waist and have a pear-shaped body type are at an increased risk. Another number to be aware of is LDL cholesterol, which is a major cause of plaque buildup in your arteries. This number should be below 70. Cholesterol levels should be approximately 150 or lower, although many reports suggest anything below 200 is normal. A proper diet and regular exercise program will help to lower your long term risk for heart disease. Triglycerides, which are not a type of cholesterol, are the next number with which to be concerned. They result from an excess amount of food intake that is not burned up for energy and should ideally be 70 or lower. The best way to lower Triglycerides is to eliminate pasta, rice, potatoes and bread from your diet. This will help lower your weight and blood pressure as well. Also when it comes to cardiovascular disease risk numbers few are as important as blood pressure. The ideal numbers should be around 120/80 or even lower. However borderline hypertension is 140/90 and a blood pressure of 180/110 is considered dangerously high. Fasting blood sugar is also important and should be below 100 although prediabetes is considered to be 100-125. More specific tests such as hemoglobin AIC can determine your risk for diabetes. Hemoglobin A1C should be no higher than 5.7. So know your numbers they could save your life. 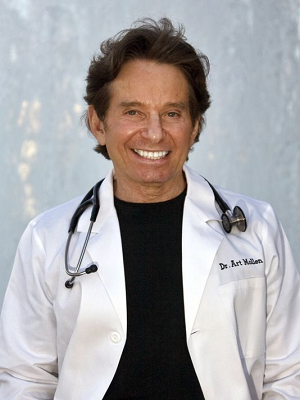 Dr. Art Mollen is an osteopathic family physician and a health, fitness and preventive medicine expert. Reach him at 480-656-0016 or askdrartmollen@gmail.com.